Americans still love watching Kiefer Sutherland save the country — just not necessarily on the night his new show airs. In the old days of Sutherland’s “24,” advertisers obsessed over how a show performed on the actual night it aired. But in the new era of DVR, they also value three- and seven-day delayed viewing. 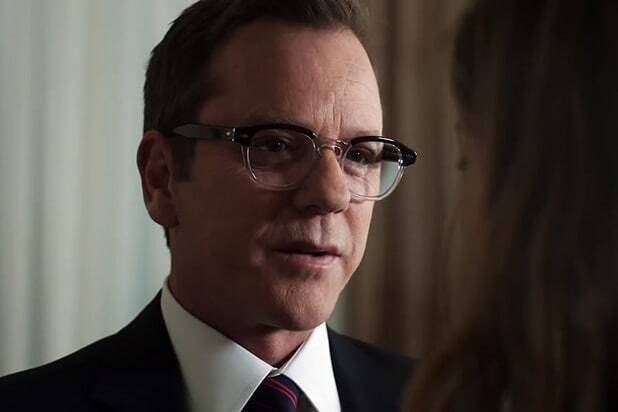 And ABC’s “Designated Survivor” has landed the biggest net audience growth of any show on broadcast TV in those metrics for every single week its aired so far. “Designated Survivor” averages 7.3 million total viewers in Nielsen’s Live + Same Day viewing. With the benefit of seven-day delayed viewing, “Designated” has added 7.3 million more total viewers, on average, each week. Of that, 5.3 million have caught up in the first three days. “Big Bang” has been No. 2 in gains over seven days for each week this season. “Designated Survivor” fills the same timeslot that “Nashville” did for ABC last season, and improves on that show by 101 percent in total viewers — and 75 percent in the advertiser-coveted 18-49 demographic. Sutherland’s D.C. thriller is ABC’s most-watched show and highest-rated in the time period in 19 years and 10 years, respectively — that’s since “Primetime Live” during the 1997-1998 season, and “Lost” during the 2006-2007 season. Pretty good company. If he’s doing this for last-place ABC, perhaps Kiefer can truly save us all.